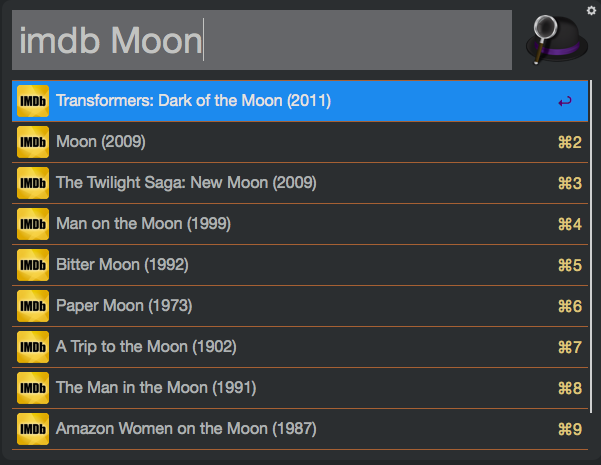 This workflow uses the OMDB custom API to search IMDB. The workflow returns movie name and release year right inside of Alfred. Selecting a movie will open up the page in your default browser. In order to make this workflow function properly you have to disable the current IMDB site search.